Why it is The Good Life and why it should stay that way. 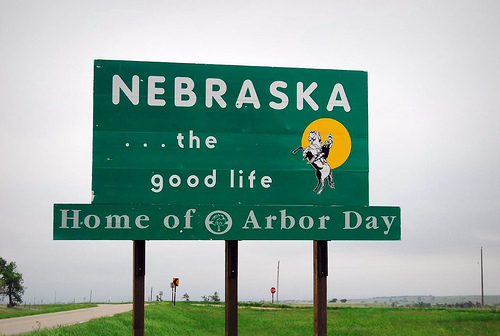 Why is Nebraska called The Good Life? Why should its slogan stay that way? Why I don’t need a boyfriend right now. It started out with a simple Google search. I meant to see why others say they don’t have/need a boyfriend at this time in their lives. (Early 20s/postgrads) Instead I was bombarded with links to see why I don’t have a boyfriend and what is wrong with me and tips to getting one. I want a love like my grandparents. You know the kind – everlasting and memorable. Maybe I am an old soul. Maybe I am over the whole meet at the bar, talk for two weeks and then we stop texting scene. Maybe I am ready to grow up. Here I am, all done with undergrad, in full swing of senior sad time. I am the nicest Mean Girl. I am the first to admit that I can quote almost every line from Mean Girls and I am not ashamed. Easter may be the best break of the year. It is a signal that the end of the semester is near and that if I breathe deep I may make it through finals week. I hail from the land of Ericson, Nebraska. Ericson is a little village (can’t even be called a town) tucked away back in the Sandhills. With only 93 people and the majority of them collecting their social security check, dating is pretty sparse where I come from. As a senior in college, March Madness doesn’t end in March. In fact, the madness is only gearing up. With graduation quickly approaching and no job, no permanent living situation and an overwhelming amount of student loans on the horizon, it is quite easy to go mad.